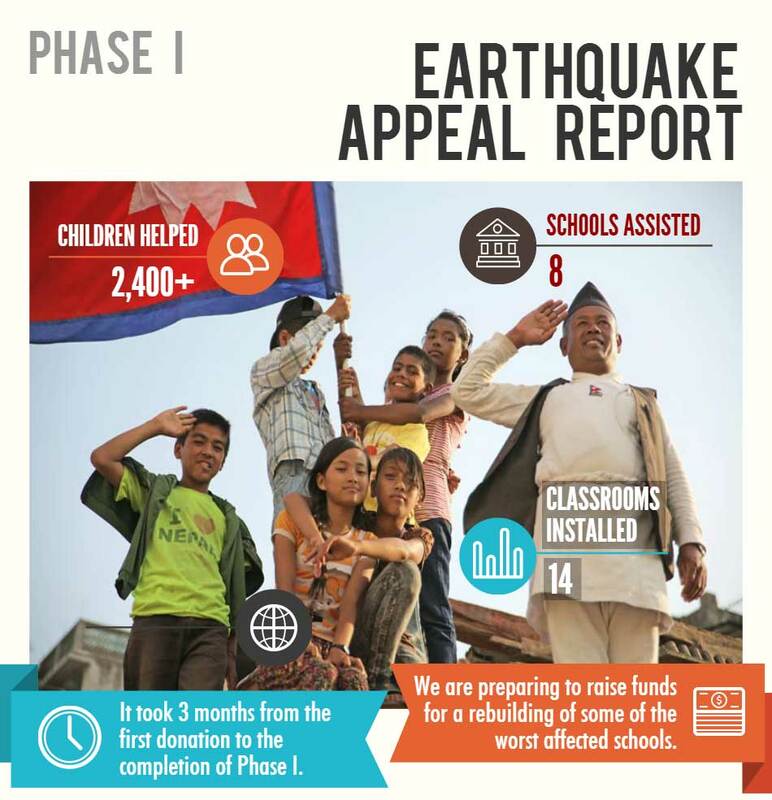 Within four weeks after the devastating earthquake hit Nepal in early 2015, the Foundation raised funds and initiated an assistance program to help seven schools affected by the disaster in areas of building infrastructure, health, and school supplies. Less than an hour after the devastating earthquake hit Nepal in April 2015, we received word from our team in Nepal that they and their families were safe. We were saddened to see the news reports of the destruction and escalating death toll that eventually reached near 9,000. Since 2011, we have built lasting friendships and trusting relationships that have been founded on an ethos of partnership in community development. Nepal and its people are therefore very close to our hearts and those of our supporters, so following the disaster we were determined to help in any way we could. Within a few days we formulated our official response, put out a call for support, pushed ahead with our fundraising events, and started planning an on-the-ground assistance strategy with our Nepal team. We discussed what the most pressing needs of the devistated communities we helped were with government officials and school Principals. Having considered carefully their needs and how we could best use our local resources and the funds raised, we chose to support seven school spread across three districts of Nepal. 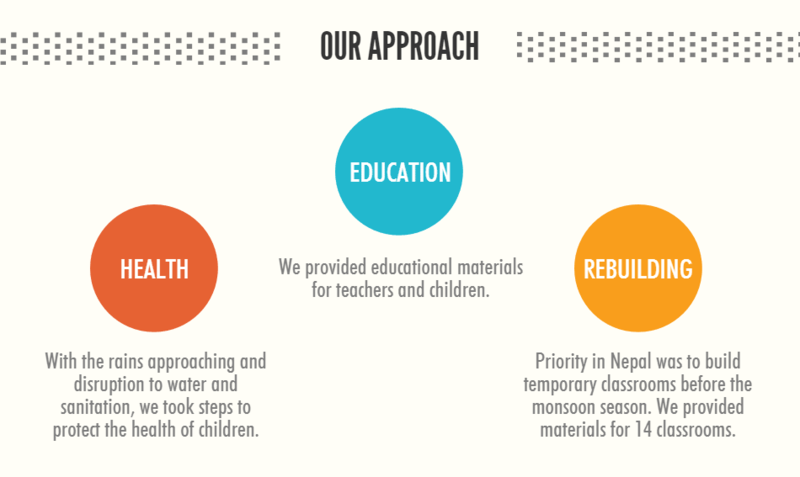 Our support program focused on three core areas: assistance in school reconstruction efforts; ensuring the health of children; and providing supplies and equipment to support school education. Most of our attention was focused in the Gorkha District, the location of the first and most powerful earthquake, and our first step was to seek permission from the government to conduct our work. We would like to give special thanks to Hari Aryal, District Education Officer, and the Gorkha District Education Office for granting us permission at short notice and for their support and advice. 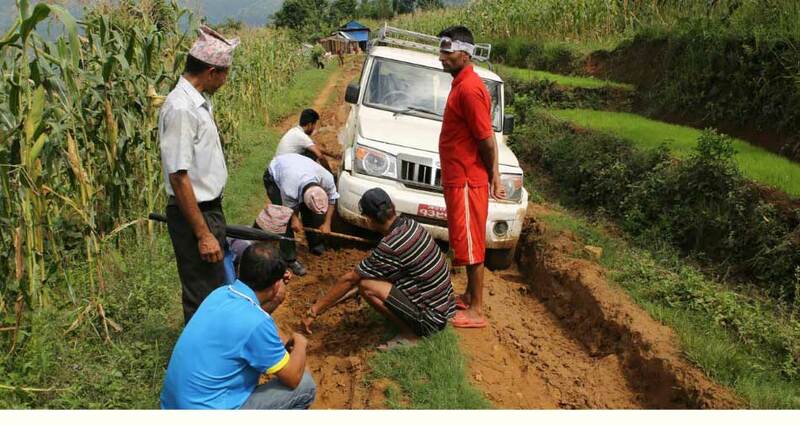 We also assisted one school nearby to Gorkha in the Tanahun District and two schools in the Dolkha District. Dolkha was located in the middle of two of the strongest earthquakes to hit Nepal in April and May. We are proud of what we were able to achieve with modest funding and in a very small time-frame. We were also able to enter three new districts where we hope to be able to strengthen our relationships and forge new projects that not only aim at helping communities to restore the normal functioning of their schools, but to continue with educational assistance initiatives that we have brought to other districts in Nepal. The report below outlines the first wave of projects delivered. We hope that it not only shows the strength of our commitment, but also the capacity of our talented coordinating team in Australia and Nepal who are more than able to deliver the best possible outcomes with funding provided.